Almost a quarter of restaurants and food businesses in the West Midlands have been warned about dodgy hygiene in the past year. New reveal the extent of poor food conditions across the UK with the equivalent of one in 4.2 premises across the region told to clean up their act. 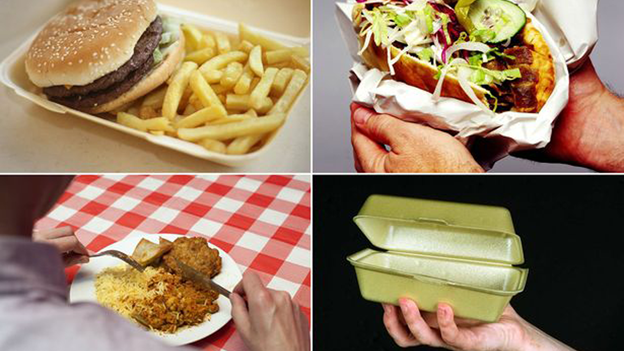 Data from the Food Standards Agency shows the situation is worse in pockets of the region – more than one-in-three eateries in Walsall, Dudley and Sandwell were given a warning. The revelation comes after the Mail revealed 127 premises in the region, from a Subway sandwich shop and a former ‘fine dining’ restaurant, were among those to be served the lowest possible food hygiene rating . The vast majority of the warnings dished out were informal written warnings – a total of 4,443 in 2014/15. In addition to this 246 formal, more serious enforcement actions were carried out by hygiene inspectors including 18 voluntary closures where businesses immediately cease serving or preparing food until they have rectified the hygiene problem. In three cases contaminated food was confiscated by inspectors and the situation was found to be so bad in eight cases that the owners of the businesses in question were prosecuted in court. Walsall was the most likely place in the area for a business to be slapped with a warning – formal or informal – with one for every 2.35 businesses in 2014-15. In Birmingham, that figure is one in 6.5, while Wolverhampton was the least likely place with one in every 17.5 businesses being warned. Across the whole of the UK, 167,338 food hygiene warnings were issued to establishments preparing, storing or serving food in 2014/15, with 286 prosecutions.